Ashtavinayaka (अष्टविनायक) means "eight Ganeshas" in Sanskrit. Ganesh is the deity of unity, prosperity & learning which removes obstacles. Visiting the temples of Ashtavinayaka refers to a pilgrimage to the eight Ganesh temples in Maharashtra state of India that house eight distinct idols of Ganesha, in a pre-ascertained sequence. This trip covers the eight ancient holy temples of Ganesha which are situated around Pune. Each of these temples has its own individual legend and history, as distinct from each other as the murtis in each temple. Starts every Friday from Mumbai. Trip to Ashtavinayak is organised every Saturday from Mumbai. Starts every Saturday from Pune. Information on ChaturthiWhen Ganesh is in his Turia means fourth stage, one can have his darshan. As such Chaturthi has special importance. 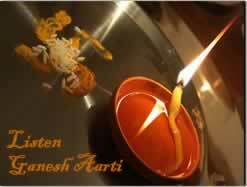 Online AartiListen to all Aartis of Hindu deities in Audio format. 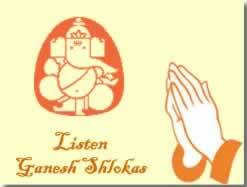 Shri Ganesh ShlokasListen to all Shlokas of Hindu deities in Audio format. 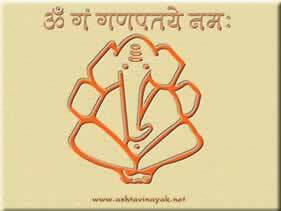 Ashtavinayak.Net was launched in the year 1999 and has been serving the devotees of Lord Ganesha who are looking out for information on Ashtavinayak Tour. We have been successfully satisfying the needs of such devotees who visit our website to collect information on Lord Ganesha and Ashtavinayak Tour. We are proud to say that our esteemed travellers have liked our travel services. Our Travel partners are estabilished in operating Ashtavinayak tours for last 25 years. Personalised service to our esteemed travellers. We treat you as our friend and not just a customer.